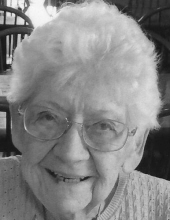 Gladys Bowen, age 96, passed peacefully March 10, 2019 at Sacred Heart Senior Living, Northampton. Formerly from Catasauqua, she was the widow of Sterling (Duffy) Bowen. They were married just short of 70 years! She avidly enjoyed bowling, golfing, word games, Scrabble and jigsaw puzzles. She was a faithful member of St. Paul’s Evangelical Lutheran where she once sang in the choir. She and her husband delivered Meals on Wheels for 20 years. Loved by many, she will be dearly missed. She is survived by her daughter Gail Gist of Whitehall, son Gary Bowen and his wife Nancy of Bethlehem Township. Six grandchildren: Janet York; Carol and her husband Dennis Roach; Gary York and his wife Victoria; William York; Audrey and her husband Damien Taranto; Steven Bowen and five greatgrandchildren. She was preceded in death by her brother Dale Spangler. Services will be held at 11am Saturday, March 16, 2019 at 11:00 AM at St. Paul’s Church, 417 Howertown Road, Catasauqua, PA 18032. Calling hours will be 10-11 am on Saturday at the church. Interment to follow at Cedar Hill Memorial Park, Allentown. Memorial contributions may be made to Meals on Wheels 4240 Fritch Dr, Bethlehem, PA 18020 or the Catasauqua Food Bank, 527 Front St, Catasauqua, 18032. To plant a tree in memory of Gladys Bowen, please visit our Tribute Store. "Email Address" would like to share the life celebration of Gladys Bowen. Click on the "link" to go to share a favorite memory or leave a condolence message for the family.